For people who haven’t gotten their transmissions repaired or replaced in the past, dealing with transmission problems can lead to some initial sticker shock. 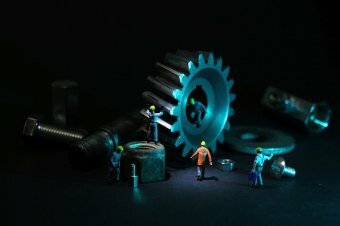 In reality, repairing, rebuilding, or replacing transmissions is very intricate work that requires a range of specialty equipment and training as well as lengthy labor hours. To ensure that you are getting value for your dollar and quality work, choose a repair shop with transmission specialists in Silver Spring , such as Superior Transmissions. Here is a closer look at the some of the costs involved in transmission repair. The parts used in modern transmissions are very complex and are built using expensive materials, so that they can be lighter while handling more torque than older cars. Depending on the make and model of the car, intricate computer components may also be used in the transmission. There are also large quantities of pieces that are used in transmissions, which further increases the costs. The price of each component reflects its complexity, and if you are getting an entirely new transmission, the cost will reflect both the complex nature of the system as well as the time spent manufacturing it. The labor costs of your transmission repair or replacement will vary depending on the kind of car you have and the kind of service you need. However, there are few jobs that can be done quickly with transmissions. Even if certain components of your transmission are ultimately found to be functioning properly, it can take hours to test them. It is important for your transmission repair shop to do this kind of thorough testing, because transmissions are such valuable components. Failing to test the parts could lead you to invest money in repairing a transmission that ultimately does not have much life left in it. Although the labor costs of repairing or replacing a transmission may be slightly higher when you work with a transmission specialist, having these services done by an expert can save you money on future repairs caused by incomplete or inadequate work. When transmission repair in Silver Spring, MD no longer seems like it will get the job done, it’s time to think about a replacement. Transmission replacement isn’t always necessary, but it can make a world of difference if it is. If you pay attention to your vehicle and work with a transmission specialist, then you should know how to tell if you’re in need of a replacement. If the repair bills start adding up, you stop taking care of your vehicle, or your transmission repeatedly overheats, visit the transmission shop to find out if it’s time for a replacement. Read on for more on when to replace a transmission . If you use your transmission long enough, eventually you will probably need to worry about transmission repair. No transmission is perfect, and no driver is either. On the other hand, you shouldn’t be visiting the transmission shop every other week. Transmission problems can pile up, and even if you fix them as soon as you can, older transmissions might just be at the end of their lifespans. Think about how much money you’re spending on transmission repair and ask yourself if it might be more cost-effective to replace the transmission entirely. Experienced drivers should know when and how to maintain their vehicles. If you know you haven’t been keeping up with your vehicle maintenance and you start experiencing transmission problems, then you should find out if you’re past the point of repair. Don’t give up before you visit the transmission shop to talk to your mechanic, but keep in mind that a lack of maintenance can give way to serious problems. Eventually, those problems may warrant a transmission replacement. Did you know that low transmission fluid can be a surefire recipe for transmission problems ? 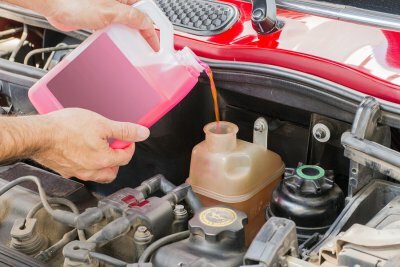 To help protect your vehicle from damage and yourself from needing transmission repair in Rockville, MD, read on to learn some of the symptoms of low transmission fluid. When there isn’t enough clean transmission fluid in your transmission, this can make changing gears difficult or even impossible. Also, it’s not uncommon for a transmission that is low on transmission fluid to not engage and seem to be stuck in neutral. If you’re dealing with this problem, then don’t delay and have this transmission problem checked as soon as possible. On the other hand, if the vehicle does make a gear change but then transitions out of that gear without any help from you, then you may be dealing with transmission slipping. This issue can be a sign of low transmission fluid and should be addressed right away to help prevent damage. Do you find that a few seconds pass between the time you shift gears and when the vehicle does? If so, then low transmission fluid may be to blame, as a lack of fluid pressure can cause a delay in gear change. Conversely, if your car is shifting gears in what feels like a sudden manner, then this may also mean that the transmission fluid is too low. Because gear change in automatic transmissions relies on proper fluid pressure, low transmission fluid can result in gear changes that are abrupt instead of smooth. One purpose of transmission fluid is to help keep the transmission cool. When there is too little transmission fluid, this can lead to friction that causes the transmission to overheat when in use. If your vehicle has a temperature gauge for its transmission and indicates that the transmission is running hot, then it’s a good idea to get your transmission fluid levels checked. Transmission problems can seriously affect the performance of your vehicle. However, in order to know when it is time to schedule transmission repair in Silver Spring , you will need to pay attention to the signs and symptoms that are showing up as you drive. A transmission specialist that offers expert transmission services can help you to make sure that your automatic transmission is running smoothly and safely. If you are gathering information prior to an upcoming transmission service appointment, check out these answers to common questions about transmission problems. What are some common automatic transmission issues? There are certain automatic transmission issues that may show up more frequently than other types of problems. Some of the most common automatic transmission problems include shifting issues, low fluid, or overheating. When you start to notice that your automatic transmission is shifting rougher than usual, this is a sign that you need to bring your car in for services right away. Your transmission specialist will have the tools needed to diagnose any problem that may be affecting your car’s transmission. How do I now when my transmission needs repair? When your automatic transmission is running properly, it will shift easily and smoothly between its various gears. In order to determine when it is time to set up automatic transmission repair, pay attention to any symptoms that may be arising while you drive. A transmission that clunks, grinds, or overheats is in need of immediate attention by a certified mechanic. How do I choose a transmission mechanic? 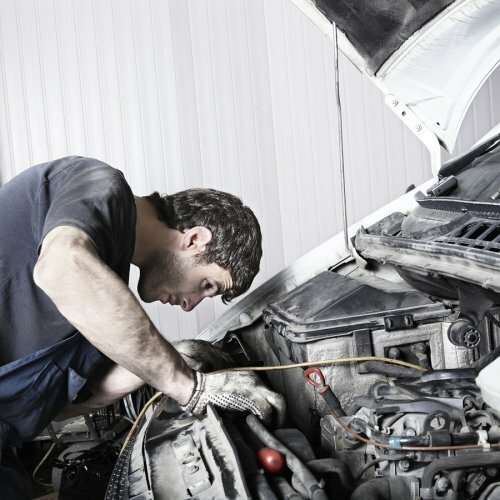 If your transmission is having problems, you will need to find a shop that is equipped to repair your issue correctly. Rather than bringing your car in to a conventional auto shop, consider scheduling services at a dedicated transmission repair facility. A shop that works solely on transmissions will have the parts and equipment needed to repair your car’s transmission to perfection. After your car is serviced by a transmission repair expert, it will be ready for many more miles of driving. 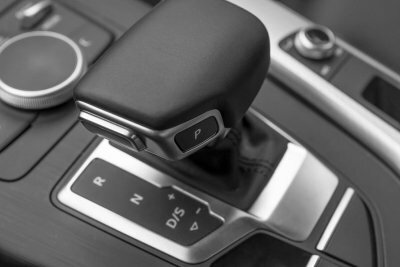 When you drive a car that contains a manual transmission , you will have complete control over your vehicle’s shifting in gears. This video from Vehicle Virginia explains how to easily stop your manual car. To stop easily, you can either downshift match your revolutions or coast in neutral. If you are experiencing transmission problems in Rockville, your transmission mechanic can restore your manual transmission to peak condition. In order to make sure that your transmission problems are fixed correctly, always bring your car to a shop that specializes in auto transmission repair. By bringing your car to a team of expert mechanics, you will have the peace of mind that comes from knowing that your transmission is ready for all of your driving adventures. 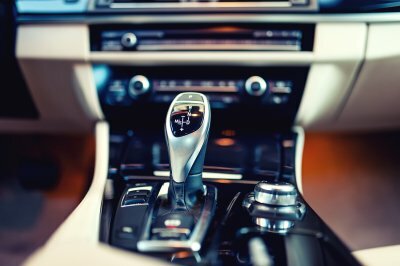 While automatic transmissions have become the standard for most new cars, many drivers still prefer their manual transmission vehicles. In order to avoid common manual transmission problems, it is important to bring your car in to a transmission repair shop in Rockville. A transmission specialist will have the tools and knowledge needed to figure out the precise transmission problems that are affecting the performance of your stick shift. If you are wondering how to keep your manual car on the road, here is a look at some troubleshooting tips for manual transmissions. Many of the most common manual transmission problems originate in the clutch. If you have started to notice that your manual transmission has trouble moving between gears, even if you have fully depressed the clutch pedal, you may be dealing with a slipping clutch. A slipping clutch can also cause the engine to rev as you are attempting to shift between gears. In order to repair a slipping clutch, a full clutch replacement may be necessary. When a manual transmission is functioning properly, its gear shifter should slide effortlessly between gears. If you have started to notice that you really have to yank or push the shifter in order to shift to the appropriate gear, this could indicate that one of the internal components in your clutch has worn out. Problems in the gears themselves can also result in a very sticky gear shift. Once you have had your gears repaired, your stick shift will be returned to normal functioning. Manual transmissions need regular fluid changes in order to remain in peak operating condition. A transmission fluid leak could cause your transmission parts to wear down quickly and create grinding noises or burning smells. It is possible to diagnose a transmission fluid leak by looking for pools of red fluid in your car’s parking spot. You can also use your transmission’s dipstick to inspect the current level of your transmission fluid. Typically, you will need to change your manual transmission fluid every 45,000 miles. When you drive a car that is equipped with a manual transmission, you will want to make sure that you operate the clutch and gear stick correctly. In this video from World Driving, you will receive some essential tips for changing gears in a manual vehicle. The ideal timing for gear changes will depend on the make and model of your vehicle, as well as your current driving conditions. Operating your manual transmission correctly can help you avoid the need for serious transmission repair near Silver Spring. If you have started to notice transmission problems occurring in your manual transmission, it may be time to consider visiting a certified transmission mechanic . When you bring your car to a transmission specialist, you will be able to make sure that its clutch and gears are operating correctly. If you are taking an older car out of storage, you will want to make sure that you are prepared to deal with any transmission problems that may be occurring in your vehicle. Sometimes, manual transmissions that have been left to sit for extended periods of time can develop jammed clutches. If your clutch is jammed, the clutch disk may have gotten stuck to the flywheel. To free the clutch, you can place the transmission in neutral and push the vehicle to start. When attempting to fix the problem on your own does not remedy the issue, you may need to bring your car to a transmission shop near Rockville. The transmission experts at your auto transmission repair shop will have the equipment that is needed to safely fix a jammed clutch. Using special diagnostic tools, your mechanic will be able to determine what has caused your clutch to become stuck. With professional transmission repair, you can get your classic car back out on the road in no time.